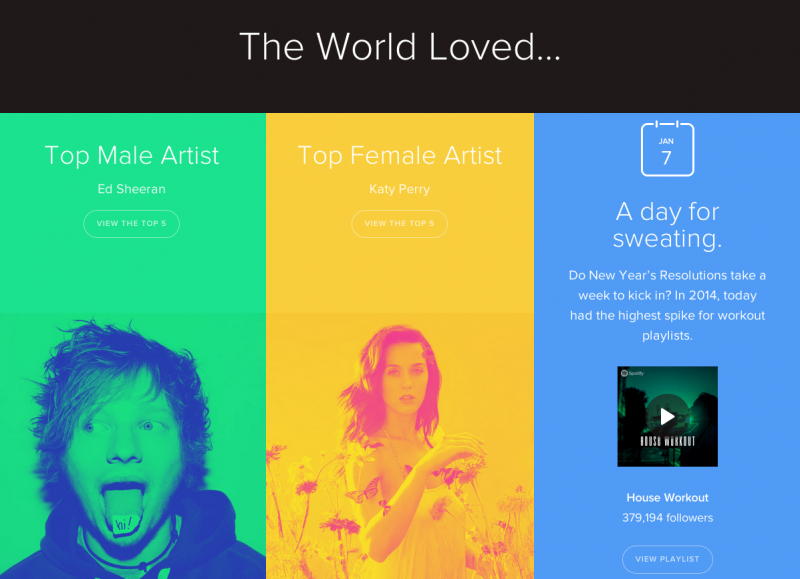 Music streaming service Spotify announced its most popular artists of 2014 today. Topping the list is UK artist Ed Sheernan as the service’s most streamed artist worldwide. Other notable mentions are Eminem, Katy Perry, Pharrell, Coldplay and Iggy Azalea. Sheernan pulled in more than 860 million plays according to Spotify. His latest album, “x,” is the most popular record on the service having been streamed more than 430 million times worldwide in 2014. Sheernan is followed by Eminem, Coldplay, Calvin Harris and Katy Perry on the most popular artists worldwide list. Coldplay and Katy Perry both topped the most popular group and female categories. As far as the single most popular song, that nod goes to Pharrell’s “Happy” with more than 260 million plays. While Eminem is the most streamed artist overall in the United States, Iggy Azalea’s “Fancy” is the most popular single stateside so far this year. Eminem is followed by acts like Drake and Lana del Rey as the most popular overall in the US. This data comes from more than 50 million Spotify users and more than 7 billion hours of songs from across the year. For more details and most popular lists, head over to Spotify’s “Year in Music” page.